Want to know what kind of bird is perched in the backyard? Now there's an app for that. WASHINGTON — Want to know what kind of bird is perched in the backyard? Now there’s an app for that. David Jacobs, computer science professor at the University of Maryland at College Park, worked with Peter Belhumeur, computer science professor at Columbia University, to develop an identification app called Birdsnap. Jacobs describes it as an “interactive field guide.” Upload a photo of a bird to the app and he says it will use computer vision to recognize a few species that might match the bird in the photo. 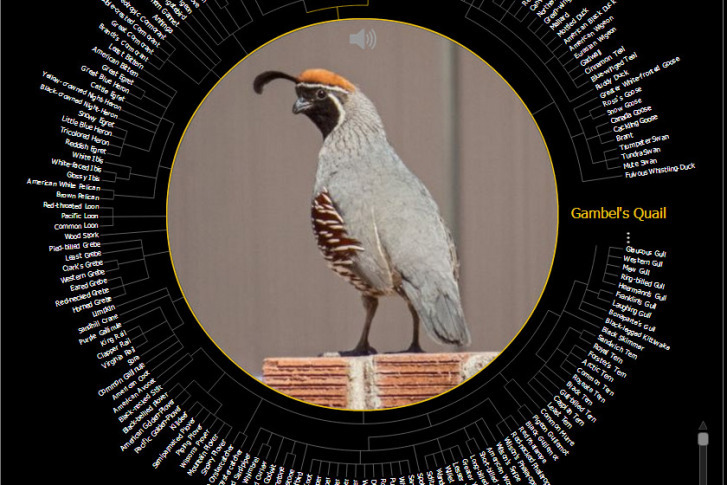 The app also shows which species are similar and might be easy to confuse with each other, including what parts of the birds are similar and how to distinguish between species. The app also includes information on birds in the U.S., such as what time of year they might be found in which areas and photos. Jacobs says he sees the app as useful to people who enjoy observing and identifying birds in their backyards.